Showrooms are the ideal places for cross selling. While customers are in the mindset to purchase big-ticket items such as cabinetry, countertops, flooring materials, and in-floor heating, this is the best time to discuss additional lower-priced upgrades (such as towel warmers) that will complete the room. Cross selling towel warmers in your kitchen and bath showroom can add revenue to your business that could otherwise be missed. For the customer, towel warmers also add that final touch of comfort and functionality to their space, increasing their satisfaction with the overall project. Towel warmers offer a strong cross-selling opportunity because they can be installed in any bathroom, easily complement any design scheme, and come in a wide price range — from $149 to $599 — that can fit any budget. The process is easiest when you keep these five customer benefits in mind. If you remember one thing, remember that functionality rules. Hands down. WarmlyYours has found that the No. 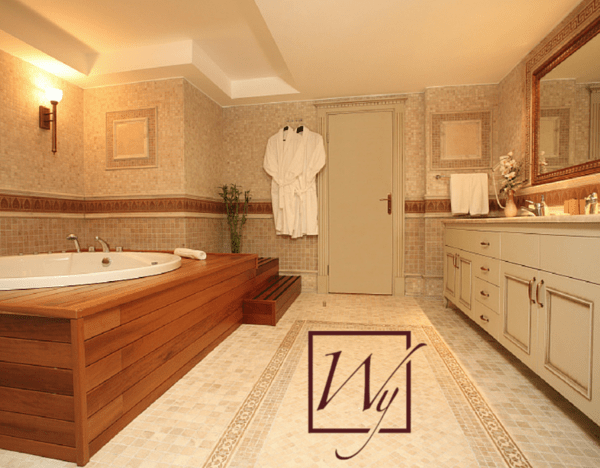 1 reason homeowners consider purchasing towel warmers is functionality. Towel warmers can heat towels and robes and add comfortable functionality to any morning routine. WarmlyYours towel warmers heat up quickly enough to offer warm towels right as you step out of the shower or tub. Remind homeowners about the sensation of stepping out of a warm shower into a chilly room, and you’ll have their attention right way. The functionality of the towel warmer helps reduce that negative part of the morning routine. 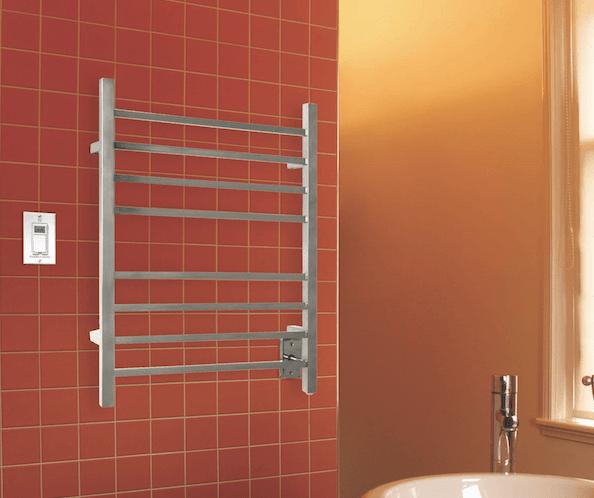 Electric towel warmers are incredibly energy efficient, which can be a key selling point for eco-conscious customers. On average, our 150-watt towel warmers operate for less than 2 cents an hour and between 14 and 22 cents for the entire day. WarmlyYours’ Elements towel warmer has even greater energy efficiency with a lower wattage of 60 watts. It consumes the same amount of power as a standard light bulb and operates for less than a penny an hour and under 9 cents for an entire day. Trend-savvy customers will be interested in towel warmers — especially if they’ve had a chance to visit Europe and experience the comfort of a towel warmer in their hotel bathroom, which is a common feature there, unlike the United States. Better Homes and Gardens, Remodelista.com and other reputable sites recommend towel warmers as a top way to add affordable luxury to a bathroom. 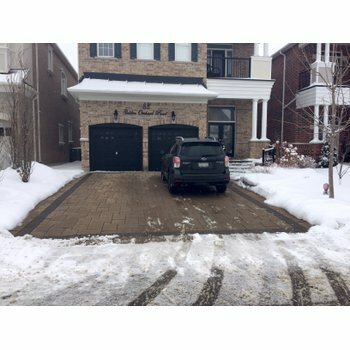 Trend-savvy customers are always looking for the “latest and greatest” home technologies to brag about to friends, family and guests. Give them that opportunity by mentioning towel warmers. 4) Sell the Right Style. Your customer’s style also plays a vital role in selecting which towel warmer to cross sell. This includes both the finish and the installation type — hardwired versus plug-in. There are two schools of thought when approaching the finish of hardware in bathrooms: Either it ALL has to match or it ALL has to be different. According to an HGTV article, homeowners should attempt to have uniformity of hardware finishes throughout their bathroom. It should all match. So, if you have a brushed metal faucet, brushed metal lighting and a brushed metal shower bar, the recommendation is to get a brushed metal towel warmer to match the existing hardware. Alternatively, the same article also recommends that homeowners can have a variety of finishes in their bathroom. The key to nailing this trend is to make sure there isn’t just one item that’s different. If only one item has a different finish, it looks out of place, and attracts your eye in a negative way. But when multiple items are different, no single one will stand out too much. When you ask what finishes currently exist in your customer’s bathroom, you’ll be able to tailor a towel warmer to that design. 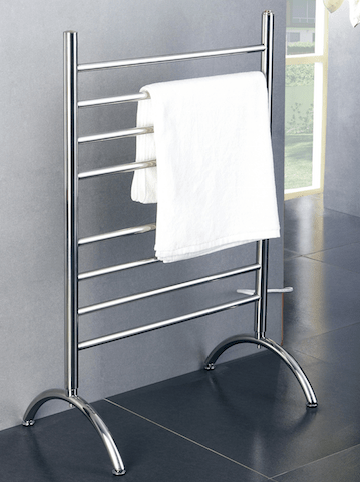 WarmlyYours offers towel warmers with brushed stainless steel, polished stainless steel and polished chrome finishes. Interestingly, internal data from WarmlyYours shows that brushed stainless steel was the most popular finish last year. Your customer’s style will also determine whether a hardwired or plug-in model will make more sense. 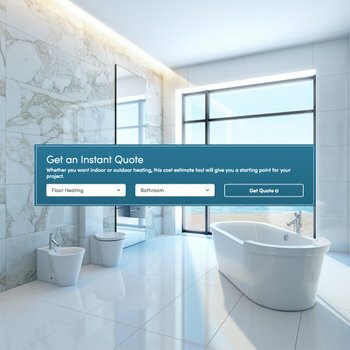 If your customer is creating a “high-end” bathroom with a clean, spa-like feel, then hardwired models are the best way to build that theme because all the wires are hidden behind the wall. WarmlyYours’ hardwired towel warmers use hidden wiring mounts for single-stud installation. Hardwired models also include a programmable timer to allow homeowners to schedule their towel warmers to warm up at a specific time. However, if the homeowner you are speaking with values convenience or flexibility over a spa-like style, a plug-in towel warmer is a great option. Plug-in models are easy to install and can be moved from room to room or house to house. Tech-savvy customers want to be able to control everything from the palm of their hand from their smartphone. You’ll get their attention immediately when you mention that WarmlyYours towel warmers can be bundled with Belkin’s WeMo Switch to turn the towel warmer on and off from any location using a smartphone or tablet. 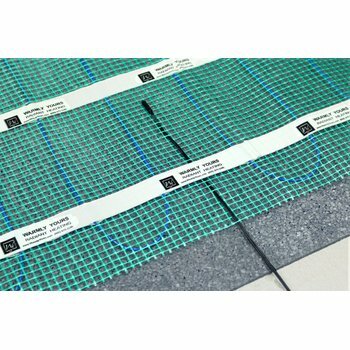 There’s no complexity barrier — the installation is very simple. The towel warmer simply plugs into the WeMo Switch, which then plugs into an outlet. Then, after downloading the WeMo app, the homeowners are able to control the towel warmer from anywhere. Homeowners can take it one step further and use the IFTTT (if this, then that) service, which automatically triggers towel warmers to turn on or off when prompted by another activity, such as the sunrise or a garage door opening. Choosing when and how the towel warmer turns on and off offers customers the ultimate functional convenience. Using these five customer benefits will help you cross sell towel warmers and add revenue to your business, but the ultimate sales tool is showing your customers firsthand what they’re getting. Invest in a WarmlyYours Towel Warmer Showroom Display Package to allow customers to touch and feel the luxurious comfort of heated towels firsthand in your showroom. You can choose between four towel warmer models to install in your showroom: the Infinity, Riviera, Sierra and Barcelona. In addition to the towel warmer, the package includes a WarmlyYours branded towel and a supply of our Towel Warmer & Radiant Panel brochures. Your customers won’t know what they’re missing unless you bring it up and ask for the sale. For more information about each of the towel warmers that WarmlyYours has to offer, please visit www.warmlyyours.com/towel-warmers. Next Post How Much Does it Cost to Add Floor Heating to a Baltimore Kitchen?